sorry to keep flooding this thread with my post but I have a genuine question. 1)Before the gana puja Rinpoche gave 2 lungs, were these the lungs for the ganapuja? 2)does this mean i received those lungs and can practice the ganapuja? He gave lung for the short ganapuja, and the practices of namkha, and lungta. This is what was done after the short break. And then, since you've received the lung for this, you can now practice this. Since you're a beginner, it would of course be difficult to expect you to follow the practice that just took place perfectly and know what is going on etc. But we all started somewhere. So you can now learn and apply! It's a very fortunate occasion. Enjoy the rest of the retreat! RikudouSennin wrote: this is my first time attending a live webcast and i realized something. Chogyal Namkhai Norbu Rinpoche teaches dzogchen, directly with no dilution,no bs, hes trying to get everyone into that real condition. Jaya Namkhai Norbu Rinpoche !!!!!! Yup. It is like that. He has taught over 500 recorded retreats. RikudouSennin wrote: by lineage i meant is there a list that goes back to Garab Dorje or the Omniscient One Longchenpa? My take (47 years with the Tibetans) is that ChNN Rinpoche is Garab Dorje and the Omniscient One Longchenpa. According to the dgongs pa zang thal cycle of teachings there are three basic lineages: the long kama lineage; the short treasure lineage, the very short direct lineage i.e. samantabhadra, vajrasattva, one's guru. Of these three, the latter is the most critical. For new folk Rinpoche gives the basic Ati (Dozgchen) guru yoga transmission tomorrow which is the main thing but it starts 6 hours earlier than today at 10 a.m. local time & will be the normal 2 hour daily teaching. On the last day, of September the 6th, he will give the lung (oral transmissions) of most usual restricted practices for which there are restricted books only for those who have heard these lung transmissions by him. 2012: 31st Aug. - 6th Sept.
31st Aug. 4pm - 6pm. This day is the Full Moon, After Doing a short introduction about this retreat teaching, we altogether do a Short Gana Puja. I give a transmition of Ati Guru Yoga with the Tridlung of Short Thun Practice. Giving the Nyamtrid of Ati Gongpa Gojyed and giving tridlung of Medium Thun Practice. Giving the Nyamtrid of Ati Gongpa Gojyed continue and giving tridlung of Medium Gana Puja. Giving the Nyamtrid of Ati Gongpa Gojyed continue and giving tridlung of Longer Thun Practice. Giving the Nyamtrid of Ati Gongpa Gojyed till the end and all complete tridlung of Atii Gongpa Gojyed text. 5th Sept. 4-7pm. We do Gana Puja for the end of this retreat and so on. Giving some advices for the daily life practices and tridlungs of collective practices and so on. We also do an Ati Guru Yoga altogether for finishing our retreat. Last edited by username on Fri Aug 31, 2012 7:23 pm, edited 1 time in total. username wrote: - As I said to you previously 'mental judgements' are concepts which you conveniently ignore above, hence I see no genuine intent here. I didn't ignore, there's just no meaning to it. Mental judgements, concepts, whatever. They are in semde and mengagde. - As all high school students know: Human literary communication and semantic/cognitive thought expressed in words is concepts. This also applies to the words/texts of 3 series. Insults don't work on me, only money. Oh I read it properly, but I thought Dzogchen in general starts with DI, but apparently not? If that's not a general thing then I can see what you're saying. Perhaps Norbu Rinpoche is teaching more from a mengagde POV even when teaching Longde and Semde. So it exclusively focuses on the conceptual mind as target of shaping 'by' conceptual mind. Example: like government of the people by the people as opposed to government of the people by a benevolent dictator. In semde the mind is used as both the method and the material. I'm sorry but I don't understand at all what you mean here. - Rinpoche says he found after years of initial teachings that he realized he was being mistaken about a large number of his western students. He says he believed them when they said that they were realizing the state. But then he found out after some time they were just parroting phrases of realization. He thought about this problem for some time and realized many westerners are obsessed by concepts and it is not easy to for them to go beyond concepts. As we see here. Didn't deny, just don't think that one doesn't work at all with the mind in mengagde. As you falsely claim as usual. Quite the opposite. That is why I say you have basic trouble reading things & understanding very very basic logical points. So on your main problem: Since all human written/spoken communication involve words & concepts, your point is absurd, as I said & not accepted by any adult. If you think this is an insult then I disagree. Further your other point is false too like someone coming to a big city for the first time & being taken to a big university such as Harvard or Princeton or MIT & then demands to see the Dean to tell him something important only to say: "since in all your natural science & engineering departments they use the English language & Math, so I do not see any point in your Math & English departments & they should be abolished!" Conceptual mind is used in all words/texts by any human language not just the 3 series. Also you quoted me & asked a question to which I answered that mental judgments you ask about are concepts. You then did not accept or refute it but merely ignored it & went further to quote me again my reply to you. This shows not genuine intent. On your regular style here: You can laugh & yawn & similar usual behavior at others but personally I am not fond of such tone or style. 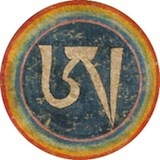 Thirdly even the majority of TB practitioners who do not practice Dzogchen know the characteristic defining trait of semde as opposed to the other 2 series is that it uses the conceptual ordinary thinking mind mainly which you do not get & deny as explained as the main defining characteristic of semde by Jigmed Lingpa, Longchenpa, ChNN & all other Dzogchen masters who are not wrong IMO but you are. Fourthly many Dzogchen practitioners who did not have lower analytical faculty but middling or higher plus genuine good intent sometimes took years or decades to get the points you regularly say you have. As a result of these problems in the basic level of content as well as style I do not see any point in discussing this or other matters further any more with you. The paragraphs above are all tips of separate yet huge structural icebergs that need a lot of work & it only remains for me to bid you goodbye and wish you good luck through the future decades Peter. username wrote: On your regular style here: You can laugh & yawn & similar usual behavior at others but personally I am not fond of such tone or style. Coming from you this is high irony. Thank you & good luck Peter. Pero wrote: Perhaps Norbu Rinpoche is teaching more from a mengagde POV even when teaching Longde and Semde. ChNN has said that all he teaches in general retreats is trekchö many times -- so don't ask him to teach it. Malcolm wrote: ChNN has said that all he teaches in general retreats is trekchö many times -- so don't ask him to teach it. Hehe ok, I'm confused, why would I have wanted to ask him to teach it? Pero wrote: Oh I read it properly, but I thought Dzogchen in general starts with DI, but apparently not? If that's not a general thing then I can see what you're saying. Perhaps Norbu Rinpoche is teaching more from a mengagde POV even when teaching Longde and Semde. If you get the direct introduction nakedly, the that would be Trechö. When teaching Semde or Longde would that direct introduction be different? Of course not, it is the method and the teaching about it that is Semde or Longde or Anuyoa or Mahayoga or whatever. The natural state is always the same it is only the practitioners way to relate to it that is different. Yeah this is how I understand it too. What I don't understand is Jigmed Lingpa's quote. Anyway, Username, I'm sorry for any misunderstandings and bad behaviour on my part. No need for apology, we all have a rough a day or two sometimes, have a good weekend. I remember reading on one of the Shangshung Institute sites that among the translations of Longsal cycle texts to come there would be a mirror divination text included somewhere. I can't find the page now, does anyone know what I'm talking about?